At my current workplace, I use SQL Server 2014 and SSIS (SQL Server Integration Services) to do all database and ETL (Extract Transform Load) development work. Recently, I have started a degree course at University of Hertfordshire, where we use Oracle.... #OutofmyComfortzone already. One of the fellow student posted a question on the university class discussion forum, asking if someone knows how to import data from Microsoft Excel spreadsheet to Oracle. I usually read every single post on the university forum and try to help if I know the answer on top of my head, if not, then first I learn myself and then reply on the forum with the answer. I find this the best way to learn something new everyday. 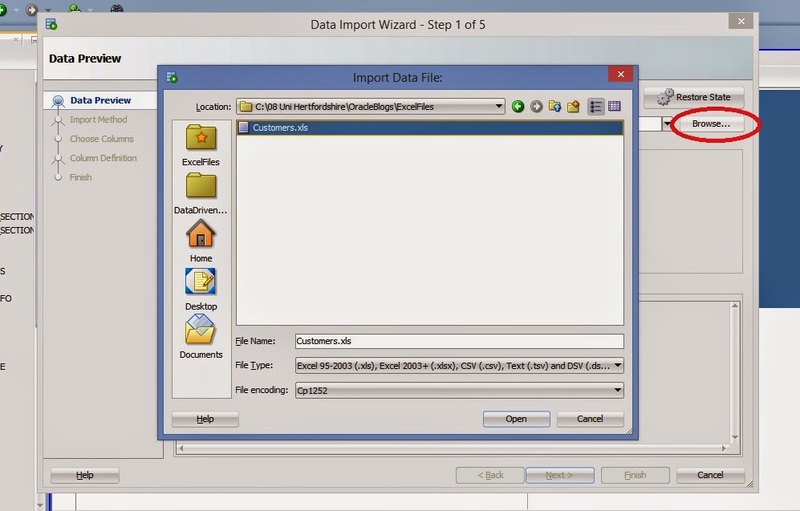 For this demo, I have used Oracle Developer Version 4.1.0.17 and Microsoft Excel 2007. 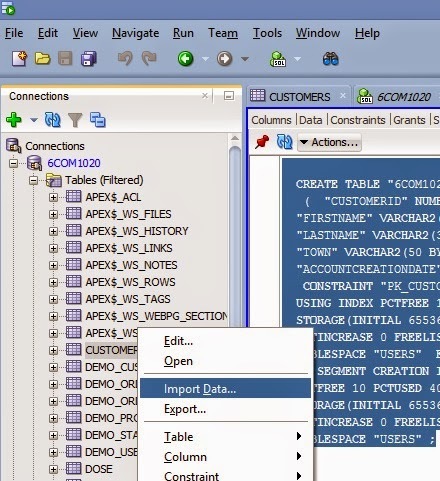 To get started, lets create a simple Customer table first, and click here to download the Excel source file Customers.xls. 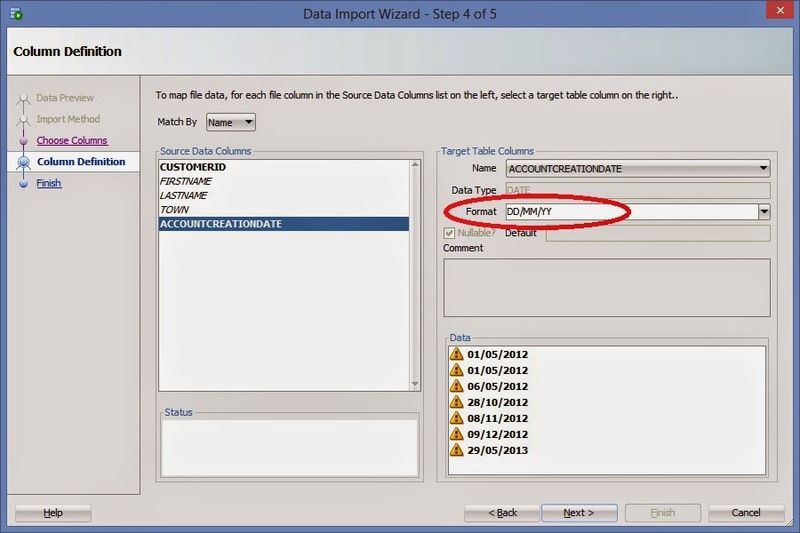 After refreshing (press F5) the table list on the left pane under Connections list, right click on the table name Customers and select Import Data. 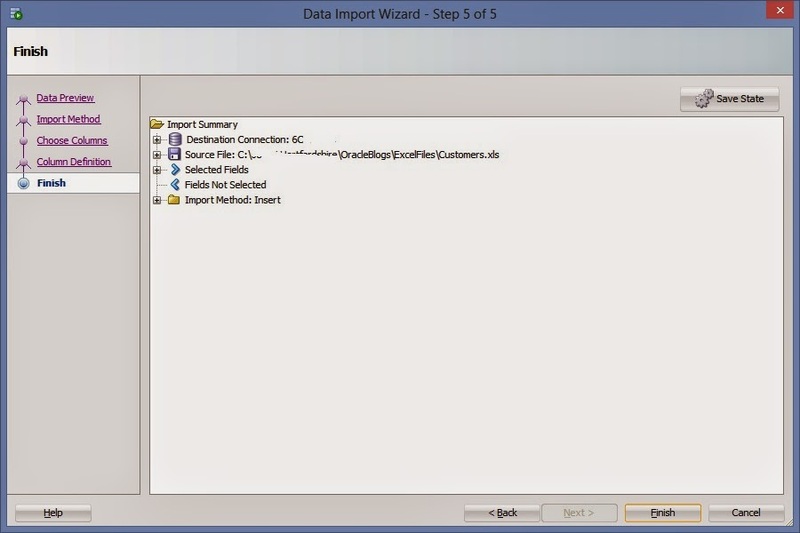 After selecting the Excel file click Next and follow on screen wizard instructions.